Dr. Jimenez is board certified in internal medicine. He received a bachelor of science degree from CUNY Herbert H. Lehman College. He was then awarded his medical degree from SUNY at Upstate School of Medicine. He completed his internal medicine residency at Albert Einstein College of Medicine at Montefiore Medical Center, where he was distinguished as an outstanding resident. In addition to his formal medical training at Montefiore, he earned a master’s degree in public administration from Columbia School of International and Public Affairs. Most recently, Dr. Jimenez was in private practice in internal medicine in New York City, and he continues to serve on the resident physician staff for the Metropolitan Opera House as well as Lincoln Center. He is fluent in both Spanish and English. 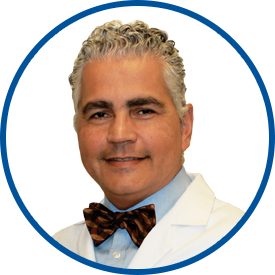 Dr. Jimenez joined Westmed Medical Group in August 2015. Dr. Jimenez is absolutely top-notch! again, Dr. Jimenez is great! I have been a patient of Dr. William Jimenez since for over 20 years, since my young adulthood. My confidence and trust in the level of treatment that he has administered to me over the years is the reason that he has been my primary care physician for all of my adult life. I highly recommend him to all family, friends and colleagues. Dr Jiminez is Wonderful In all my years going to see Doctors I have never been comfortable but with Doctor Jimenez I feel comfortable and he makes me feel at ease, he is great he explains everything to me in a way that I understand. Absolutely Wonderful experience with him and his nurse. *Dr. Jimenez is an excellent doctor. I am fortunate to have found him. I would recommend Dr. Jimenez and this medical facility to anyone who would listen. Dr.Jimenez is very thorough when examining me. He takes his time and listens to my concerns. The Best. physician really cares.